Edward Tricker has practiced law with Woods & Aitken since 1977 with emphasis in construction contracts, government contracts, and commercial litigation. His experience includes advising prime and subcontractors in bidding, contract and operational matters; representing contractors, sureties and owners before courts, arbitrators, mediators, Boards of Contract Appeals and administrative agencies; as well as representing architectural/engineering firms with respect to contract issues and disputes. 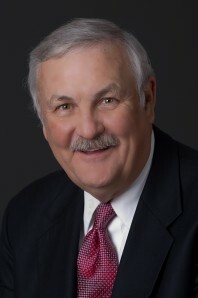 He has lectured before attorney and construction industry groups with respect to the formation and interpretation of construction contracts, preparation and litigation of claims and alternative dispute resolution. He has assisted in several national papers regarding construction contracts and claims presentation.